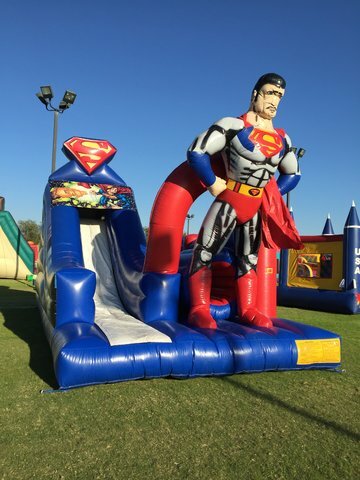 Anyone looking for a super hero themed party must have the Superman Obstacle Course! This course features Superman himself in the flesh greeting all participants as they enter this obstacle course. Participants are protected by a large inflatable wall to keep them from exiting the obstacle course over the sides or anywhere else that could cause injury. Participants will wiggle their way through the barriers and climb up the ladder to the tp of the slide where they come down and exit in the front.